Most of us rely on the Internet to find a lot of our information. 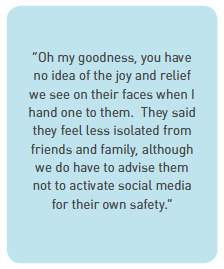 But for survivors of abuse, having access to online information is especially important. Some refuges have told us that this access can make the difference between a survivor escaping, or returning to their abuser. 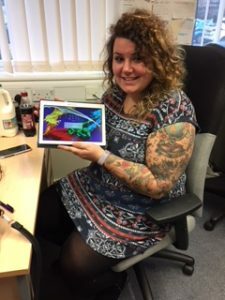 Some refuges are using the tablets in outreach sessions to support victims who are still living with their abusers. Some abusers don’t let their victims use the Internet at all, or insist on supervising them when they do. Others check Internet histories to see what their victims have been using the Internet for. The tablets help them to make preparations to escape, without their abuser being able to check up on their actions. 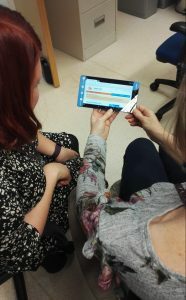 Survivors who have left their abuser can access communal tablets in the refuge. When survivors escape, they might not be able to take anything with them. And even if they can take a phone or tablet, it might not be safe to keep it. Sometimes abusers place tracking devices in them, so having access to a “clean” device can be safer than keeping an old one. In the refuges, children use tablets to do their homework, and feel more at home in unfamiliar surroundings. Adults use them to apply for jobs or accommodation. And they are used by everyone to stay in touch with family and friends left behind. The tablets are a lifeline that connects them to the world. 3. When they leave the refuge to live independently. The refuges gift tablets to survivors to take with them as they move out of the refuge and into their new homes. The survivors often have very few, if any, personal possessions after they escape, and many face financial difficulties as they move into independence. 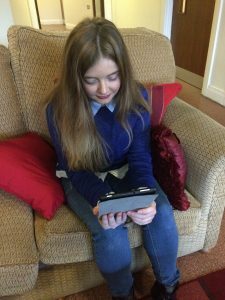 Having access to a tablet offers them additional support as they begin their new lives. What do the survivors say? This project was set up with the generous support of the Clothworkers’ Livery Fund, who kindly donated £33,000 for this work. To find out more about the impact of this project, please click here to read our report. Now we are reaching the end of this project, we are keen to raise money for future work. If you would like to help, please donate to WaveLength today. Thank you.